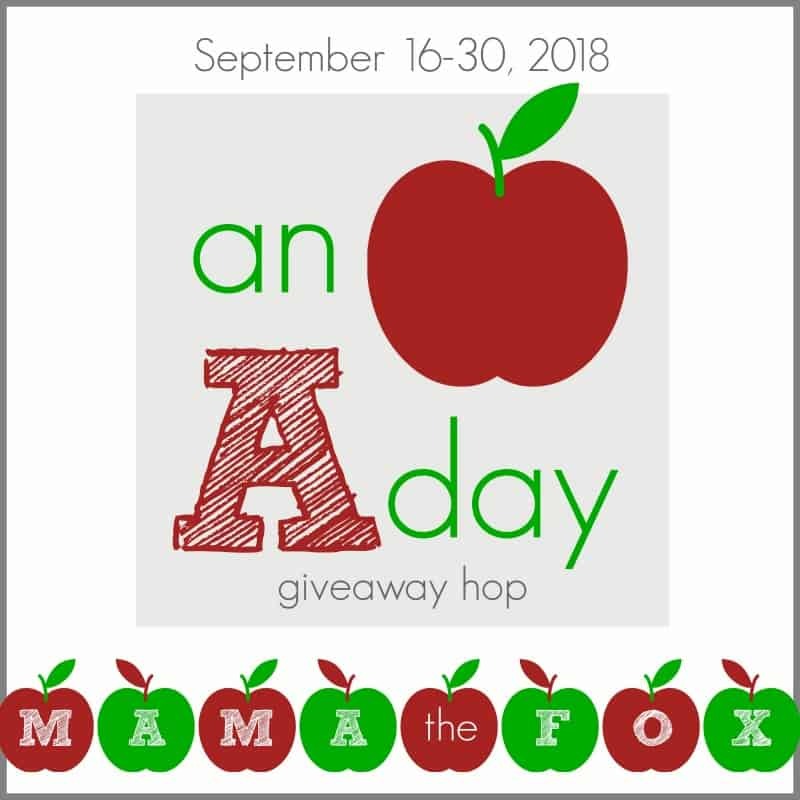 Welcome to our An Apple A Day Giveaway Hop! These fun giveaways end 9/30/18 at 1159p est! Be sure to visit them daily for more chances to win! An apple a day keeps the doctor away! I can’t seem to get that out of my head now 🙂 If you ask my pups, they will tell you a ‘treat a day’ keeps the doctor away! Whether you have furry friends that would love some tasty tidbits or you and your kiddos need a few things, a little extra spending money is always in agreement, right? Let’s get on to the giveaway where you have a chance of winning your choice of either a PETCO or Amazon Gift Card! $15 PETCO or Amazon Gift Card – winner’s choice! Giveaway ends 9/30/18 at 11:59 pm ET! Open to US residents 18+ and older. Ill definitely be treating my kitties! Amazon please to buy treats for my family. I would treat my pet to a DIY bath at my local Petco! I will be treating my pet(s). I will be treating myself but who knows,I will probably get something from Amazon for my pet lol! I will be treating a friend who owns 2 cats to this gift. She’ll probably choose a toy to chase or bat around. I’ll be treating myself. Slowly saving up for a winter coat! Not sure yet. I do get my dog’s food from Petco, so may lean towards that. Thanks! I’ll be treating myself. My dogs do not care about THINGS….they just want my time and attention. I would treat my pet to a toy or sweater. I will be treating myself. I would be treating myself! I would buy me some make up. I will be treating my dogs. I’ll be treating my daughter. We have 3 dogs so we treat them everyday, this would be for them. Self… or rather the kids! I will be treating someone. This would be a wonderful item for myself as I do not have pets due to allergies. I definitely want to treat my dog! I will be treating my pets, my cats could use a few new toys to play with. I would like to save this for the holidays and treat the dog and the cats. I would buy treats for my 2 pups. Most likely myself. We only have a “grand” dog who is already spoiled. I will be treating myself unless I use the Amazon card to buy bully sticks for the pets. I’d probably end up treating my grandsons with an Amazon gift card! I would treat my dogs! I will be treating my fur babies Ozzy & Maggie. I will be treating my pet. I will be treating my pet on amazon! I will be treating my dog to treats and toys. I have 3 dogs, and they can always use a new toy! my dogs getting a deer antler built for a queen. Yes , she is skittish so we don’t take her out on Halloween. My sweet pet, Hershey deserves a treat! Myself! My dog has everything he needs at the moment, haha. We don’t have a Petco within hours of us. I’d have to use it for me in this case. I’d be getting treat for my dog. My dog was just recently stocked up at an animal event locally. One of the petstores sold so much for them really cheap so I would use this to treat my 13 year old who really wants a new book and cd. Well, I think I’d choose the Petco card….so, I’d be treating our pretty kittehs! Thanks and God Bless! My pets are spoiled already so i would treat myself. My kitty would like a new bed. Since I don’t currently have a dog, I will probably be treating myself or a family member. Thank you for the chance to win! I will be treating our pet! Thanks for the chance! I will buy treats for my dog. Thanks for the giveaway! I would choose an Amazon $15 Gift Card!!! If I win. I’ll be treating us both. Thanks for the giveaway! I’ll take my special boy out on a Petco date to find some new treats and toys. I would treat my chihuahua. Myself as we don’t live near a Petco. I will be treating myself I have already spoiled my grand dog!! I would probably use Amazon card towards Christmas shopping for my son but could also end up using for stuff for the cats, never know. I’ll probably be treating our pet! I would treat our black lab, Abbie. I’ll be treating myself this time – thank you for the giveaway! If I were to win I would probably be treating my daughter. I will be treating family members. Since I recently treated my pet, I will be using this to treat myself. I’ll be treating my pets! I have many pets and they all deserve it! I would save it and treat my son at Christmas. My doggies are always spoiled so I would probably choose to treat them! I will be treating myself with a book from Amazon. Both of us will be treated! I would treat my pets- I have two elderly cats and they require senior cat food. I will probably be treating myself! I would treat my pet. My pets say I will be treating them. I will get something for my girls. I will treat my granddaughter with the Amazon card. I would be treating my grand-puppy! id treat the cats this time! they deserve it! I will be treating my pet! It will be used on my cat. Probably my cats. Would definitely help with getting some more litter. I would pick Amazon and purchase something for my pet on there. I pets of course! 2 dogs and just got a kitty! Got to share – a little for both! I would be treating myself. I’d probably use it for something for the family. My dog is pretty spoiled already. I don’t have pets right now so I would use the Amazon gift card to buy something special for my grandson. I will be treating my granddaughter’s pet. I will be treating myself! i will get my dog a gift to treat her. she is my best friend. I would probably pick Amazon so I can treat my kids! We need things for our new rescue. I will be treating my two cats to some wet food. I will treat my parrotlet!! I will be treating my parrot to a new toy. I will be treating both. I will be treating our boxer, Lincoln. I would love to treat my pet, a 6 year old Jack Russell Terrier. Actually I will be treating my new grandson for his first holiday outfits. Probably my cats cause they want some good catnip and I want to get it for them. Thanks so much for asking about them. I will be treating our dogs. I will be treating my pets, I love to spoil them. I’d save it for Christmas. I will be treating my niece because I don’t have a Petco near me. I would be treating myself. I don’t have a pet anymore. I’m sure I’ll treat my spoiled dogs! I’d treat myself with the Amazon GC. Thanks. I would probably buy a Halloween costume for one of my dogs to match the other two dogs and my costume. I’ll probably be treating myself, I do a lot for my cat! I would probably treat myself this time 🙂 but every day is definitely all about treating my kitty! I would treat my cat. I need to replace his cat tower soon. The top of the cat tower collapsed and broke. We have not figured out a way to repair it and my cat misses his top perch. Thanks for the chance! I will treat myself. Unfortunately. my wonderful dog. ROXIE passed away 6 years ago today Sept30, 2012. I would be treating my puppy. I’ll be treating myself, thought using it for textbooks doesn’t feel like much of a treat per se, haha. Our dog has a basketful of toys, so this treat is for me ! I would treat my dog! My babies. I love spending on my furbabies. I’ll be treating my pet! She deserves new treats. i will be treating myself, thank you for the chance to win. I will be treating myself! My bulldogs are very spoiled. My turn. I would treat my pet some some cool items that I seem on Amazon. I’ll be treating myself with the Amazon Gift Card. The treat will be for us both. When he is happy, I am happy, so this will come in handy for this.